This classic Roch Valley Cotton/Lycra sleeveless leotard is perfect for regulation uniform, class and exams. 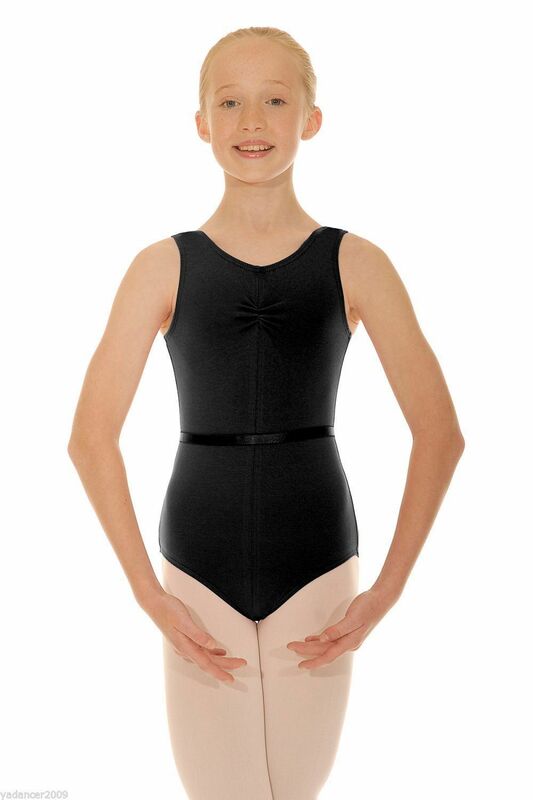 This tank style leotard features a flattering gathered front bustline and comes complete with belt. CSheree in black is suitable for RAD grades 3,4 and 5 and BBO grades 6,7 and 8. Please note this is a cotton/lycra fabric mix (matt fabric), this style is also available in a nylon/lycra mix (shiny fabric). Please see my other listings for the shiny option. Available in Black in a wide range of sizes, remember to look at height guidelines for dancers as well as their age as this is often the best way to select the correct size. If your dancer is between sizes or is tall my advice is to go up a size! Please do not hesitate to contact me for any other uniform/show/exam requirements and I will do my best to help!